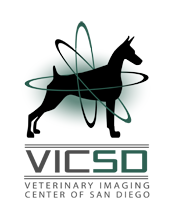 VICSD Teleradiology Group realizes the vision of having a board-certified veterinary radiologist working in veterinary telemedicine and Veterinary Teleradiology practice. VICSD Teleradiology Group delivers cost-effective expert interpretation and radiograph review to practices everywhere. Their expertise in interpretation and image delivery ensures that clients are receiving the highest level of diagnostic imaging services. Through VICSD Veterinary Teleradiology Group, all radiograph reports are written and sent to the veterinarian within 24 hours via email and fax. The STAT option is available for radiographs that require immediate evaluation. STAT reports are delivered in less than an hour. VICSD Teleradiology Group is powered by Vetology. With the fastest digital platform that is easy to use, Vetology’s cost-effective features are designed to advance veterinary medicine and promote wellness for patients. Give us a call to learn more about our cutting-edge teleradiology/radiograph review services and pricing. (858) 634-5430. To learn more about teleradiology, access our reading room articles.